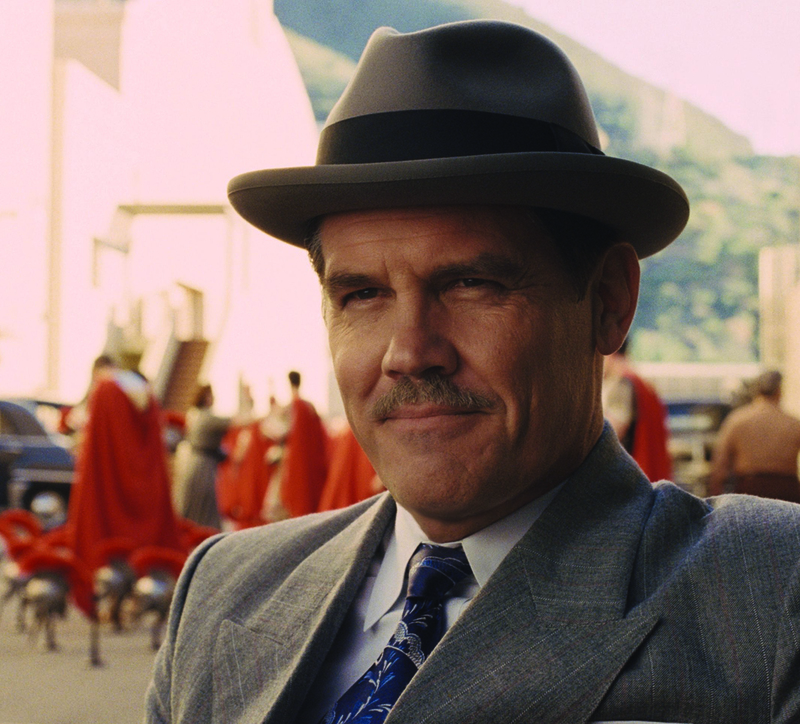 “People don’t want facts—they want to believe!” says Eddie Mannix (Josh Brolin), a 1950s Hollywood studio “fixer” in the new Coen Brothers comedy Hail Caesar!, a sprawling, star-studded spoof of the golden age of moviemaking. What people believe, and what they make-believe, are the building blocks of Hollywood itself. 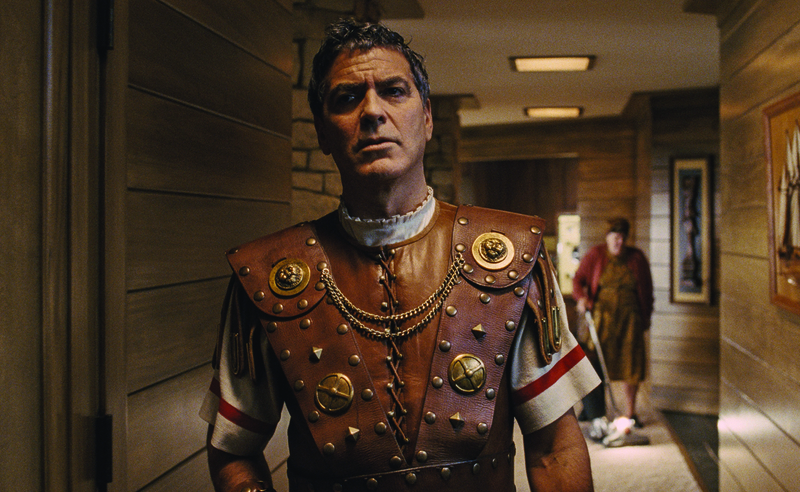 And they’re certainly the cornerstones of the Coens’ lavish, multi-tiered parody that takes satirical shape around the production of a fictional studio’s major new movie, Hail, Caesar!, A Tale of the Christ, a Bible-based saga a la Ben-Hur, Spartacus and The Robe. When the film’s lunkheaded leading man, Baird Whitlock (George Clooney), is kidnapped, Mannix has to find him and get the money-train movie back on track. But in the meantime, he’s also got his hands full with other problems, and other films. His job is keeping the machinery of Capitol Pictures Studios whirling, keeping its numerous stars in line and out of trouble, and keeping the whiff of scandal away from prying gossip columnists, particularly twin sisters Thora and Thessily Thacker (Tilda Swinton). The studio’s twice-divorced “innocent” aqua-starlet (Scarlett Johansson) is pregnant with an out-of-wedlock child. Capitol’s prissy British prestige-picture director (Ralph Fiennes) is at wit’s end trying to wrangle the company’s riding, roping singing cowboy (Alden Ehrenreich) into more refined roles. 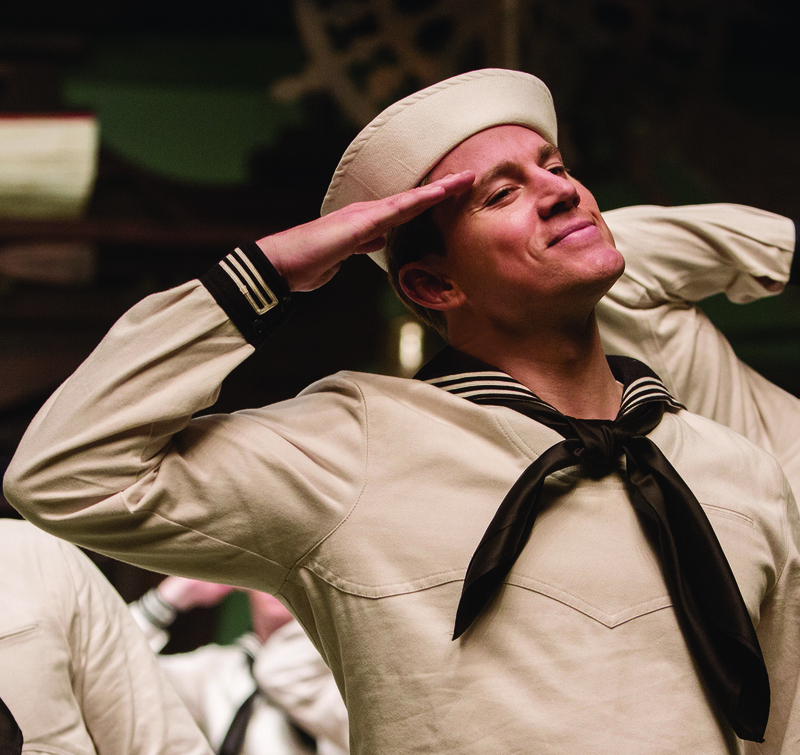 And a tap-dancing song-and-dance hotshot (Channing Tatum) glides across the set of a new musical, but his light-on-his-feet moves may be hiding heavier secrets. Look: There’s Jonah Hill, Frances McDormand and the guy (Wayne Knight) who played Newman in Seinfeld! Even if you don’t know anything about Hollywood’s “Red Scare,” you’ll still get a chuckle out of a boatload of Commies bobbing off the California coastline. And Alden Ehrenreich’s young sodbuster charming his studio-arranged dinner date (Veronica Osorio) by twirling a strand of spaghetti like a lariat will rope your heart, too. For many viewers, the quirky movies of writer-director Joel and Ethan Coen have always been a bit of an acquired taste. Sure, most everybody now falls in line to applaud the genius of Fargo, No Country For Old Men, True Grit, The Big Lebowski and O Brother, Where Art Thou. But where was the box-office love for The Hudsucker Proxy, Barton Fink, The Man Who Wasn’t There and Inside Llewyn Davis? There may be more commercially successful filmmakers, more mainstream filmmakers or filmmakers who win more awards. But you’d be hard-pressed to find many filmmakers who love movies, and making movies, more than the Coens. And that love is evident in every carefully crafted frame of this gloriously goofy homage to the glory days of big studios, big stars and the big wheels that churned out the spectacles of Hollywood’s dream factory from a bygone era.